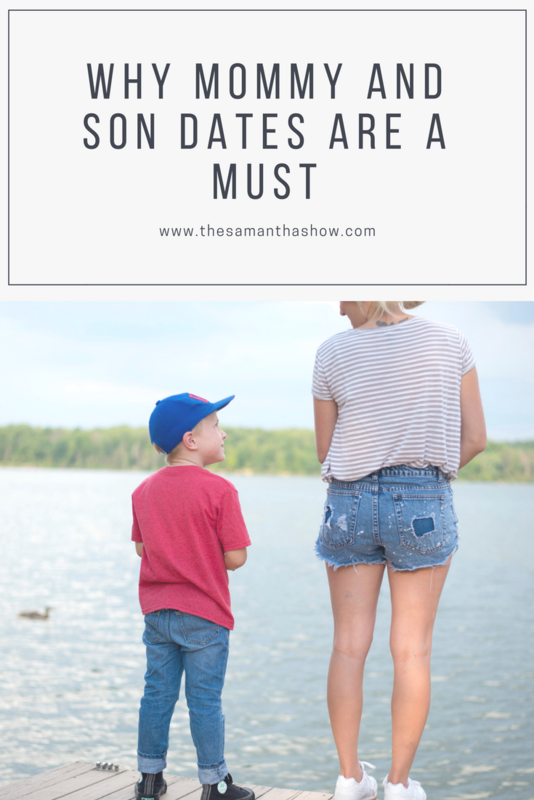 Mommy and son dates are a must. 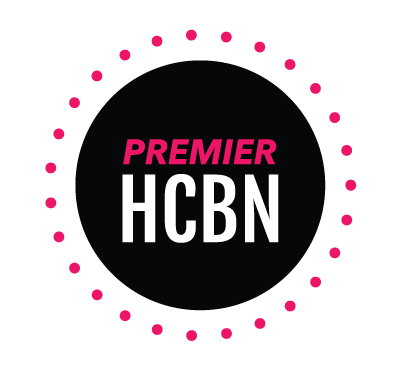 Want to know one of the hardest parts about being a mom? Giving each child enough one-on-one attention. There are only so many hours in the day and there always seems to be something that needs done. But with my oldest starting Kindergarten in a few weeks, I’m realizing how important it is to spend more quality time with him. I’ve been unpacking boxes all week and seeing his baby pictures makes me want to cry. He’s changed so much in the past few years and I can only imagine how fast time will go now that he’ll be in school all day everyday. So we’ve found other ways to spend time together and go on little mommy and son dates. The sweet spot with him? Anything outdoors and anything active. Some of the best memories I have from my childhood include playing outside with my friends. Ghost in the Graveyard, Kick the Can, Capture the Flag, and just riding our bikes around the neighborhood. We’d camp outback, jump on the trampoline, and just enjoy the simple things in life. And I want those same experiences for my kiddos. 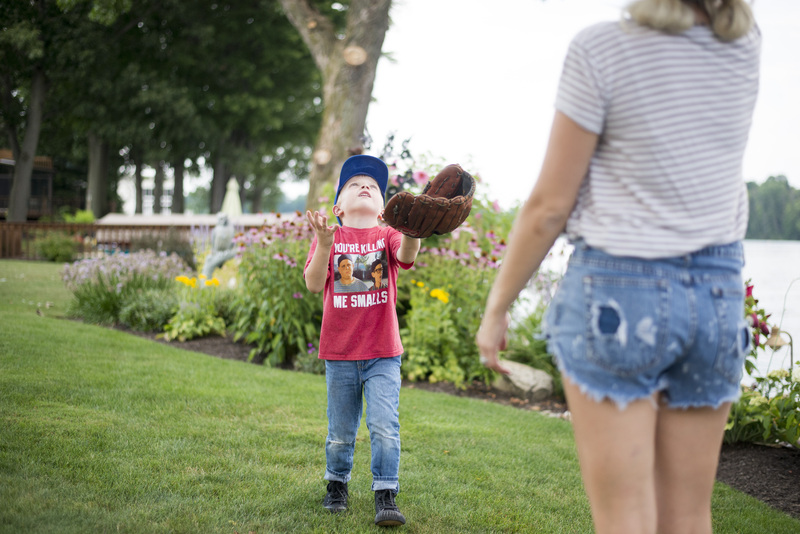 For my 5 year old, things like fishing, riding his bike, and playing catch are everything he could dream of and more. Which obvi makes my mama heart super happy because getting him outside and encouraging play is one of the best things I can truly do for him. It also strengthens our bond and gives him the attention he wants and deserves. 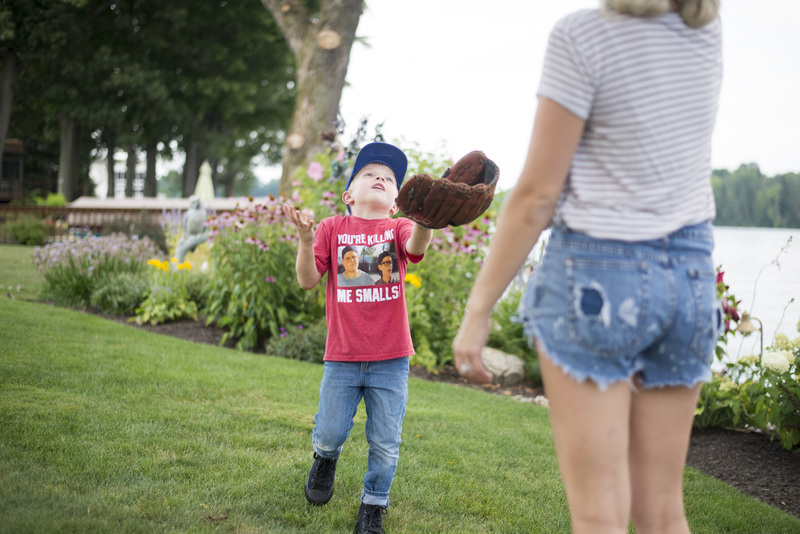 He’s obsessed with all sports but in the summer, it’s everything baseball. Those shoes right there? They’re PF Flyers but my son legit calls them Benny Shoes. Benny “The Jet” Rodriguez from The Sandlot is his idol and when I told him he was getting shoes just like Benny, he about lost his mind. So handsome but he looks so grown up.. when did this happen?! 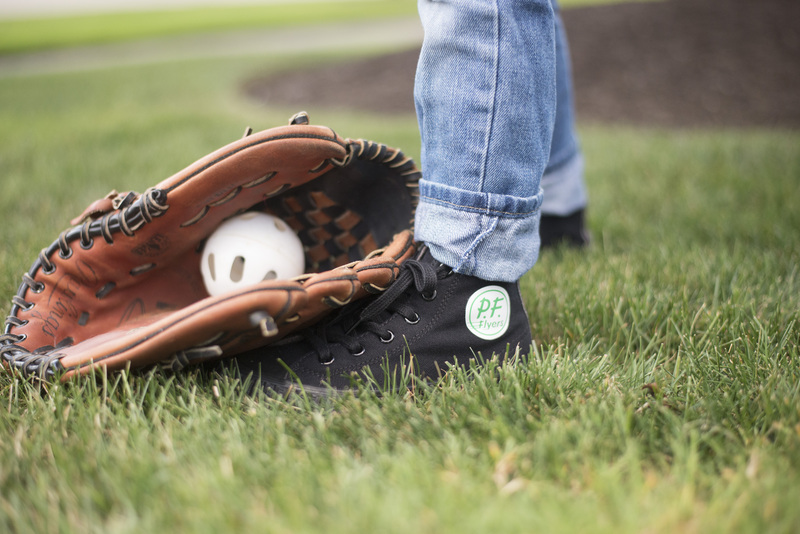 I love the evolution of the brand and shoe; PF actually stands for Posture Foundation due to the arch support and the brand has stayed consistent with comfort and style throughout the years. As soon as my son put them on, he told me they were going to make him “Run Faster and Jump Higher” and I couldn’t help but smile from ear to ear.